As soon as the first of Muharram sets in, most people I know wear black/dark shades – school girls in particular, stand out as they don black scarves instead of the regular white/blue/green. What a perfect opportunity! Inevitably, questions are asked – arm them with the right information/wording (not too much and stressing on the fact that he stood for the oppressed) to answer these oh-so-important queries so that their friends become familiar with the name Hussain… you never know, maybe those seeds will grow in the future? P.S. 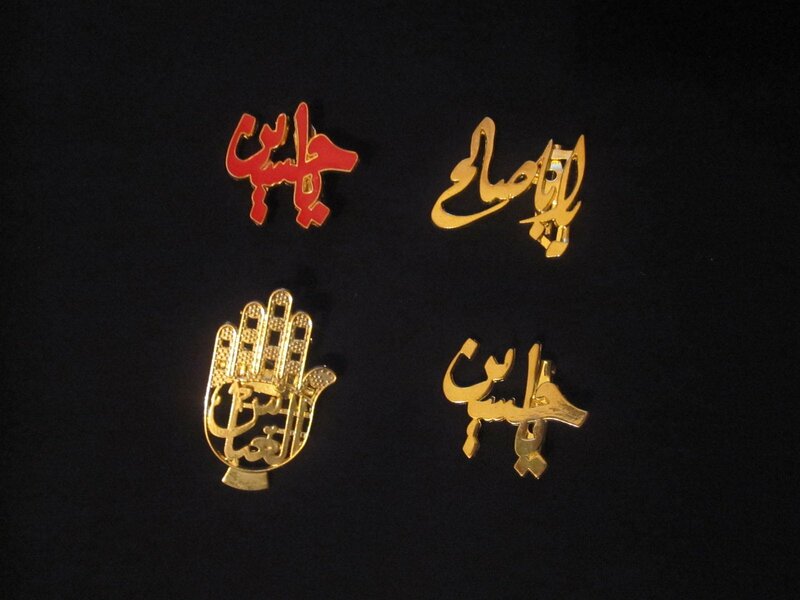 Let’s lead by example – wear black/these pins to work and welcome the questions!